Dawn is featured on an ethereal ballad version of Todd Rundgren‘s “Hello, It’s Me.” There’s a line in the song that ends, “And spend the night if you think I should,” which Dawn changes to, “And spend the night with you if you want me to.” This slight alteration loses the poetic urgency of the original, although the strength and beauty of Dawn’s voice are undeniable. 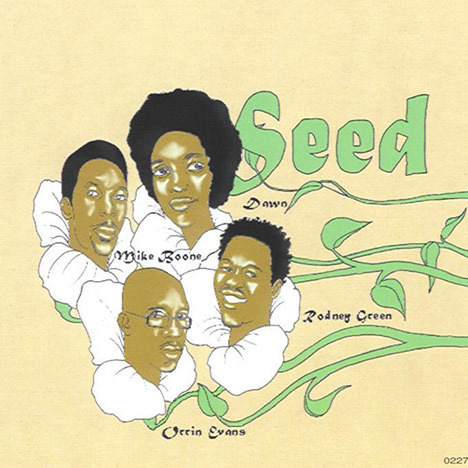 With its connotations of organic unity and germinal beginnings, Seed is an apt name for this band, and a viable framework for some of the most representative music of Orrin Evans‘s career to date. As a musical partnership between Evans and Dawn, moreover, it bodes well for the future.